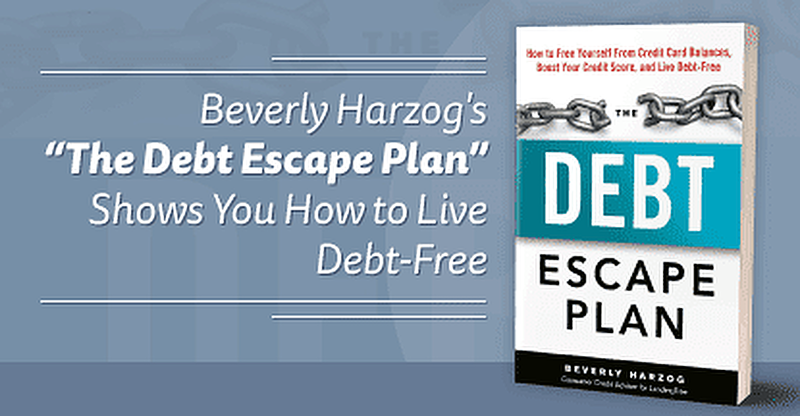 In a Nutshell: Beverly Harzog wrote The Debt Escape Plan for people weighed down by credit card debt. If you’ve made some mistakes in the past or want to know how to prepare for the future, you can learn from Beverly’s experience ridding herself of $20,000 of credit card debt. This former credit-card junkie now gives valuable advice on how to eliminate debt and raise credit scores. A Money Personality Quiz narrows down your particular approach to money so that Beverly can offer specific solutions that fit your situation and habits. By answering a handful of multiple-choice questions, readers can better understand how they relate to money and how to become the boss of their own budget. Some consumers view their credit card as a golden ticket or a magic wand. One swipe, and you get access to bottomless pits of money that can be used without repercussion. Of course, that’s not really the case. There are, sadly, dire consequences for mishandling credit cards — not the least of which is crippling debt. Abusing the “buy now, pay later” system can trip up consumers, saddling them with a debt they can’t afford and don’t know how to escape. Anyone bogged down by credit card debt can find solace with Beverly Harzog, an award-winning author and former credit junkie who now advises people how to get their finances back on track. Beverly’s book, The Debt Escape Plan: How to Free Yourself From Credit Card Balances, Boost Your Credit Score, and Live Debt-Free, breaks down the nine biggest mistakes that lead to credit card debt and how to fix them. Throughout her book, she emphasizes that everyone is different. With a simple money personality quiz, she categorizes readers into five money personalities that handle finances in unique ways. Her advice is specific to individual spending habits and learning styles. 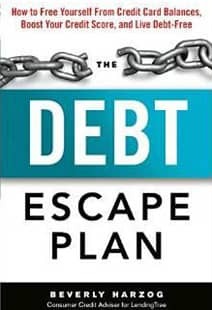 To help you break free of the chains of debt, The Debt Escape Plan motivates readers to make a plan and stick with it. “The trick is setting yourself up for success so that you keep going no matter what roadblocks you encounter,” Beverly says. Beverly herself has gone through financial troubles and freed herself from credit card debt, so readers can trust her advice. She draws from personal experience to provide salient examples of some basic do’s and don’ts. A former a credit junkie, Beverly is on a mission to help people escape from credit card debt. Instead of making you feel guilty for splurging on designer clothing, The Debt Escape Plan lets you know you’re not alone. When Harzog was in her twenties, she managed to rack up more than $20,000 in credit card debt because of her excessive shopping habits. She maxed out seven different credit cards, searching for self-worth in the expensive clothes she bought. However, these articles of clothing didn’t up her confidence — they burdened her with high payments. It wasn’t until her favorite card was canceled that she decided enough was enough. She devised a debt escape plan for herself, and she paid off her debt within two years. In her book, Beverly offers personal accounts of her own financial woes while providing research on credit card debt. With this dual approach of experience and fact, she helps readers pinpoint a debt-elimination strategy that works for them. When trying to get out of debt, Beverly says that one of the biggest issues she found was that there wasn’t a set solution that fit her circumstances. She didn’t want a one-size-fits-all plan; she wanted someone to speak to her personal struggles. Not finding an adequate resource, she decided to create one. The Debt Escape Plan promotes devising an individualized plan based on your money type and learning style. 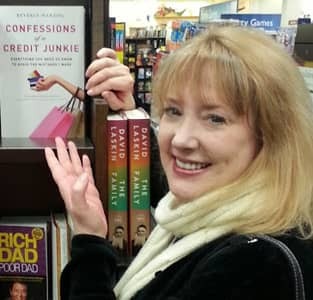 In addition to her books, Beverly writes a blog to champion the right ways to use credit cards and stay debt-free. In the third chapter, the Money Personality Quiz asks 10 multiple-choice questions to ascertain if you’re a Clever Cheapskate, a Money Master, a Terrified Tightwad, a Budget Buster, or an Unconcerned Consumer. A series of scenarios delves into how you spend and save money, then provides a detailed assessment of your personality. After that, you’ll be asked eight questions about your learning style so Beverly can peg how you absorb information best. Based on your answers and your personality, she prescribes a specific solution to get out of debt. If you’re visual, for instance, she suggests using a whiteboard to map out your budgeting plan. “We’re all unique, and that’s what makes us special. I don’t want you to change your personality to fit a specific approach,” Beverly writes. She stresses the importance of knowing your financial strengths and weaknesses to create the best plan for your needs. Through experienced and supportive guidance, the book teaches you better strategies to get your finances in shape. With a non-judgmental tone, The Debt Escape Plan outlines a variety of spending dilemmas people most frequently get caught up in — and then she recommends ways to avoid or mitigate these issues. Beverly’s book can help you start living a financially healthy life. Beverly offers step-by-step, feasible solutions to boost your income, create a debt escape plan, and stay motivated. Beverly prepares readers to face their debt and take ownership of it. She advocates being the boss of your own budget from start to finish. With seven strategies to boost your credit scores and five ways to debt-proof your future, there’s a lot to learn in the pages of this book. Whatever your situation might be, The Debt Escape Plan has a way to fix it. This collection of inspiring and positive advice empowers consumers to deal with financial troubles without fear or blame. A credit card may seem like a quick solution to buy whatever you please, but that sort of attitude can quickly land you in trouble. Many shopaholics before Beverly have found themselves mired in debt with no end in sight. Mismanaging credit cards can lead to disastrous consequences, but there are ways to overcome and escape the strain of credit card debt. The Debt Escape Plan tackles this tough issue with humor, encouragement, and advice. From inspirational introduction to an appendix of additional resources, her book is a comprehensive stepping stone for anyone seeking to better understand their finances and get out of debt for good. Not only does Beverly provide you with a unique debt escape plan based on your personality, learning style, and financial situation, but she also sets you up for a debt-free future. This financial guide ends with some sage advice on how to live within your means and build a financial emergency kit so you’re prepared for whatever lies ahead.